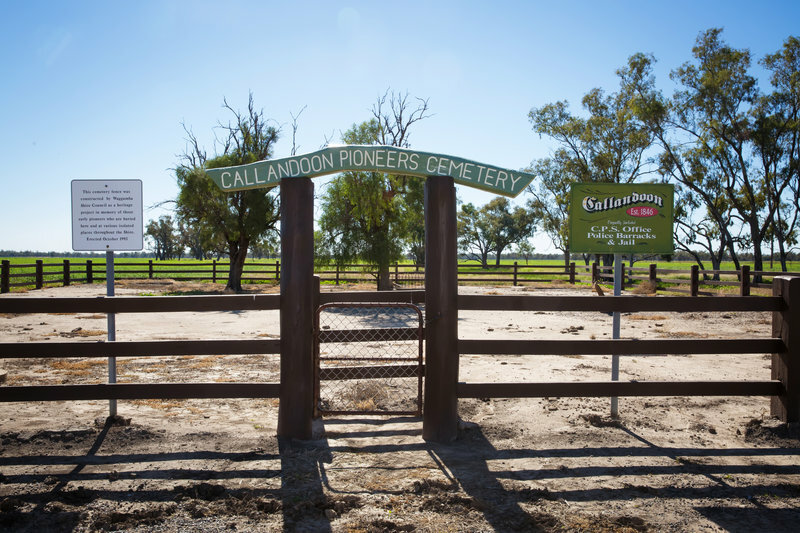 The Callandoon Pioneer Cemetery is located 19km west of Goondiwindi on the Barwon Highway and contains only six graves dating from 1876. Only two head stones now stand. Callandoon once had a Post Office, Police Barracks, Gaol and CPS Office and in 1848 native Police were recruited. In 1859 it was appointed a place for holding Courts of Petty Sessions. Why not take a short break in your drive and get out and feel the history surrounding you.